How about this casual and comfy layer? It's the perfect place to start an outfit -- or the perfect way to complete one! 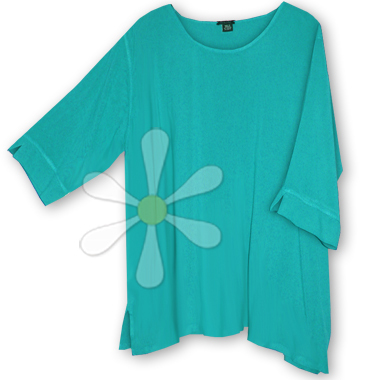 A classic T style with a rounded neck, 3" comfort slits at the hip and notched sleeves. And the handmade quality of this breathable organic fabric is what you've come to expect from yummy cotton susti, which means you'll feel like a goddess even when wearing this with your scruffiest jeans! It's the little things we do for ourselves that make the biggest difference. No?